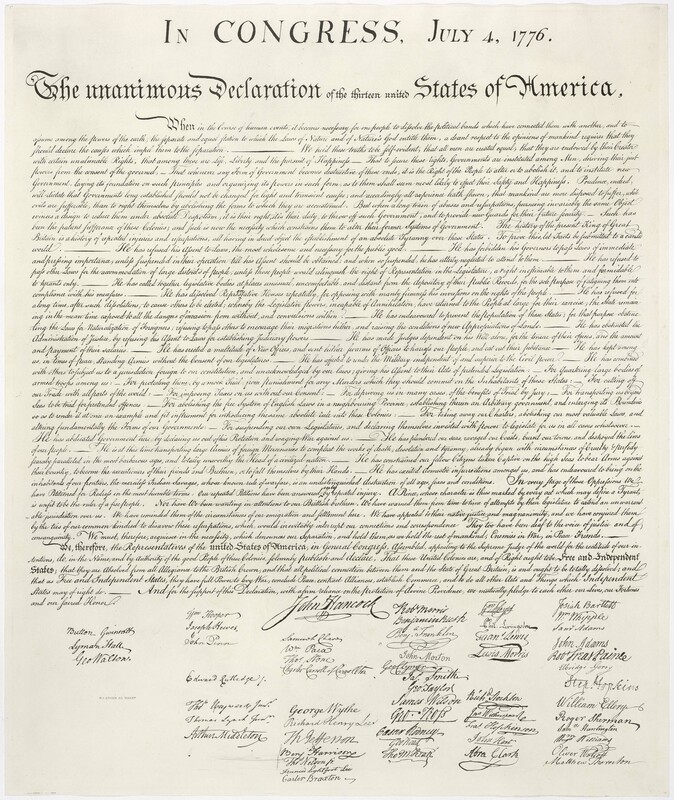 A Facebook meme encouraged people to take a break from their celebrations and picnics to read the Declaration of Independence and remember what this day was all about. I think it's a good idea. It's not long and only takes a few minutes. I was humbled to remember, that as these men pledged their lives, fortunes, and honor, many of the signatories would be called upon to do just that in the bloody war that followed. He has refused his Assent to Laws, the most wholesome and necessary for the public good.He has forbidden his Governors to pass Laws of immediate and pressing importance, unless suspended in their operation till his Assent should be obtained; and when so suspended, he has utterly neglected to attend to them. It's an amazing document, and one these incredible men did give their lives and fortunes to uphold. It should be required annual reading for every citizen! Thanks so much for sharing this, Barb! I agree with DeAnna. We should hear it every year. So much of our nation's history is 'a mystery' to people now. New citizens know far more than half the population!